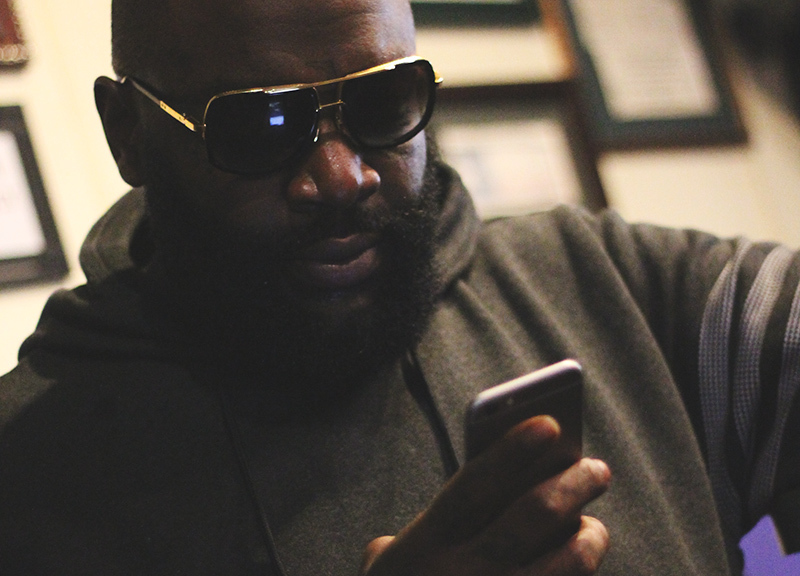 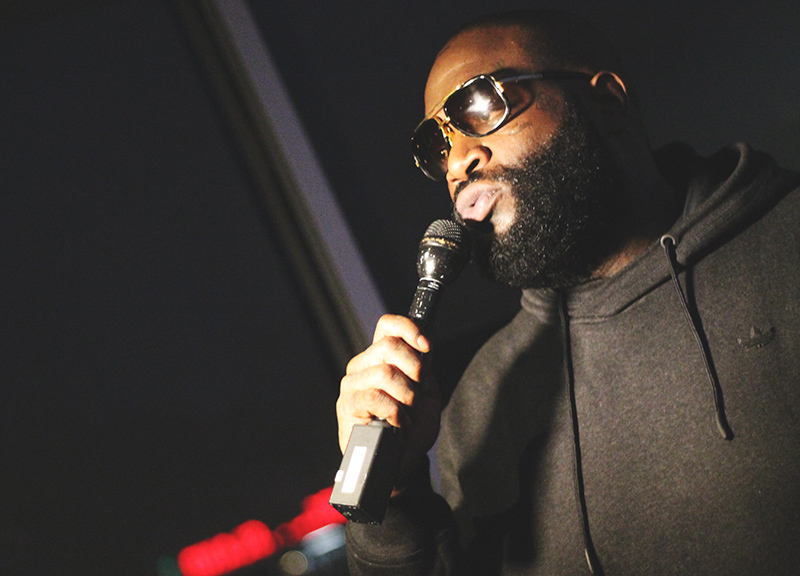 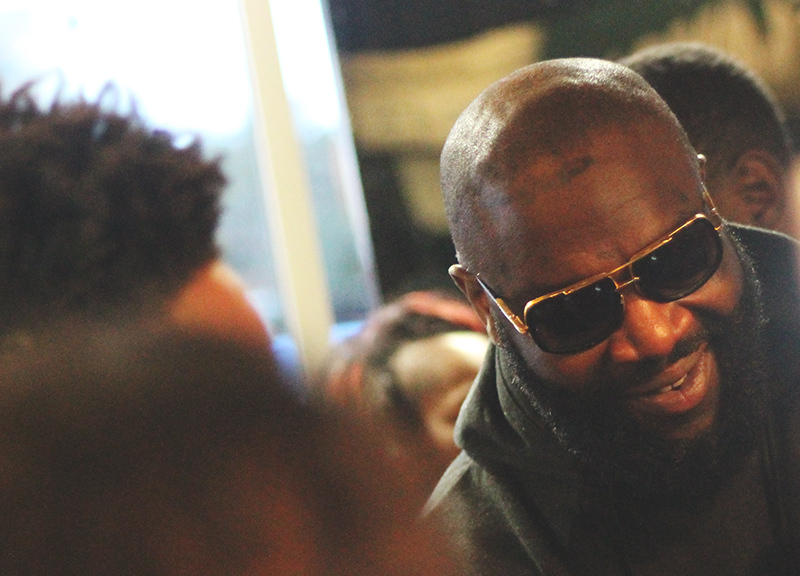 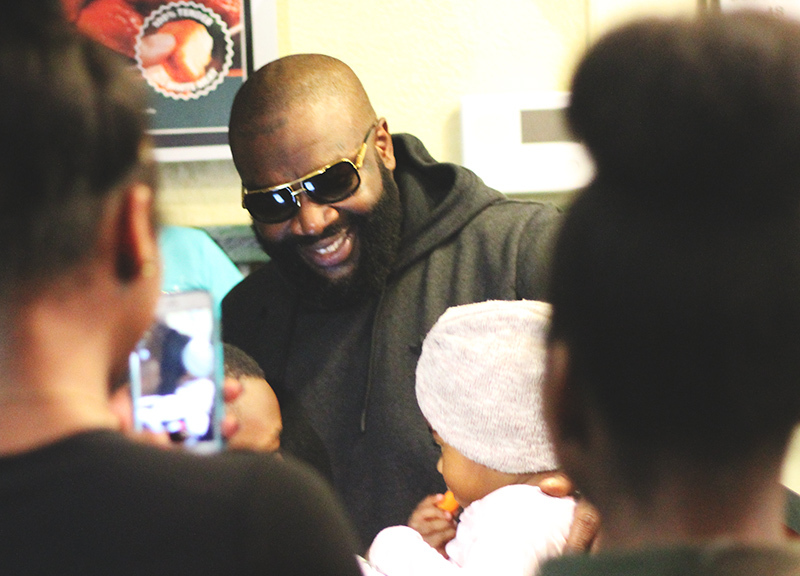 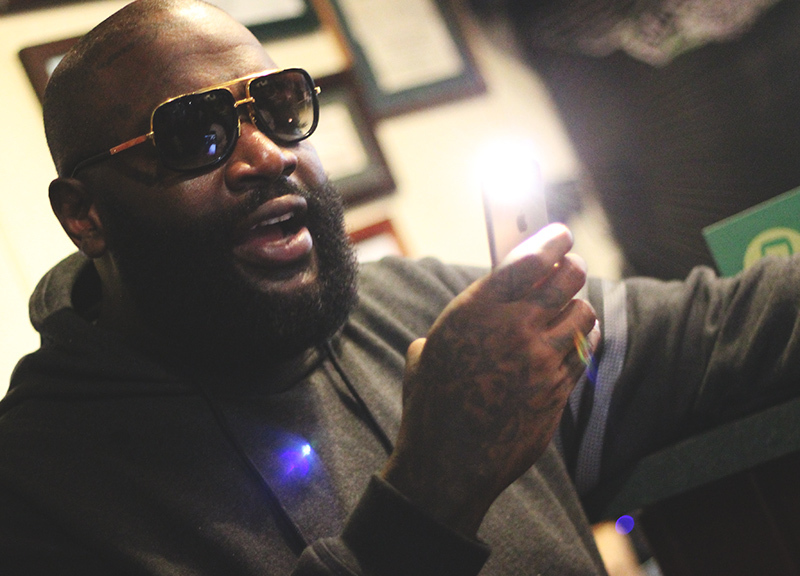 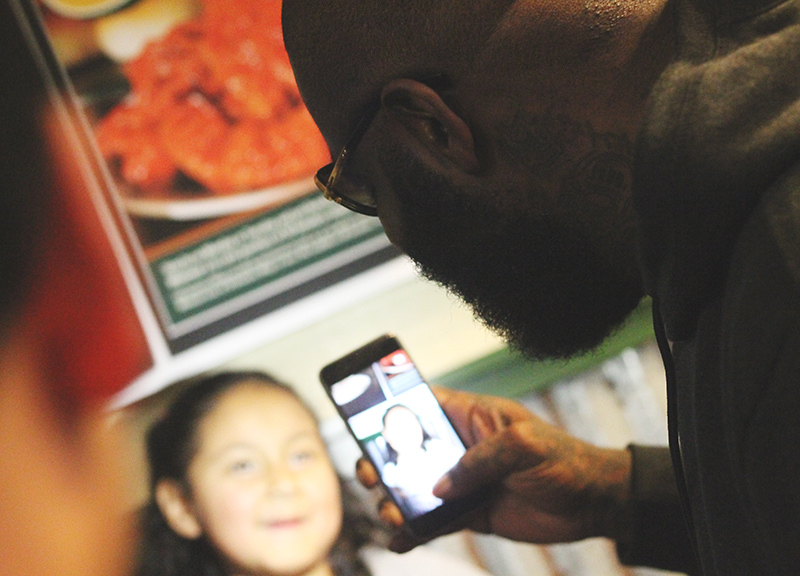 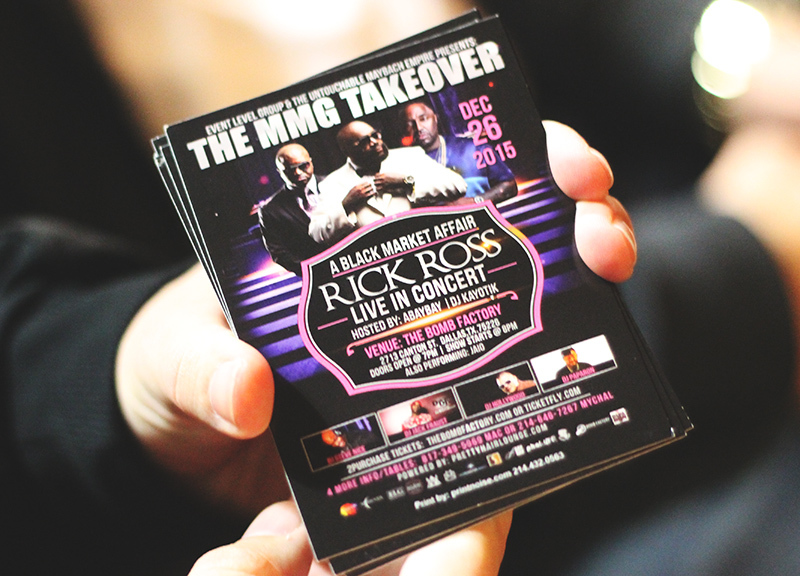 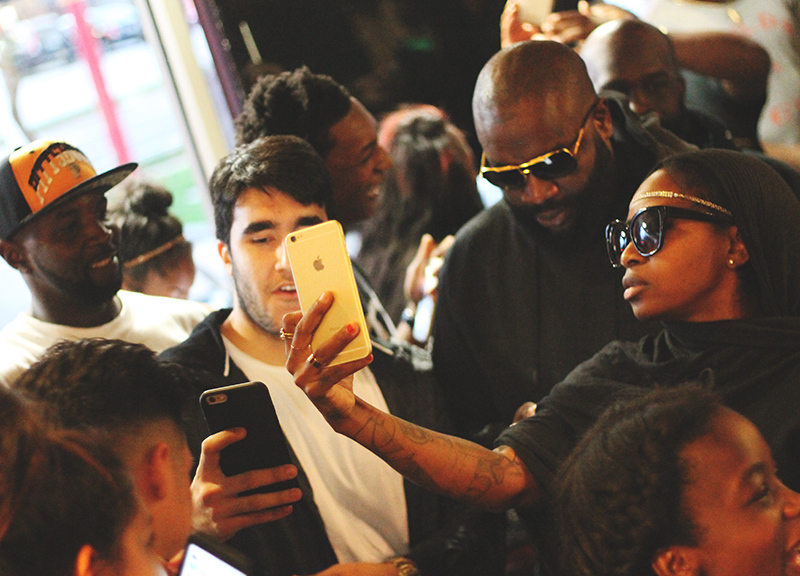 Rick Ross Surprised Fans With A Meet-And-Greet At A Dallas Wingstop On Saturday. 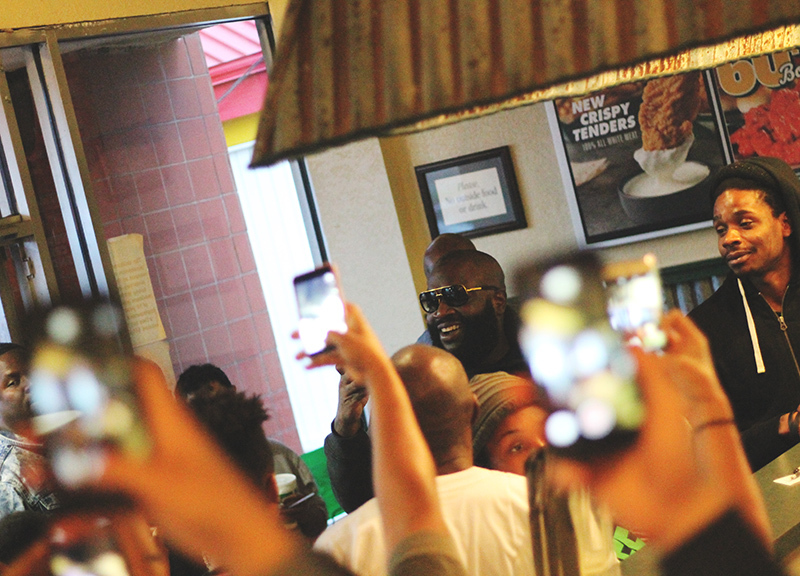 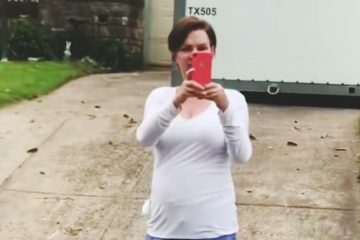 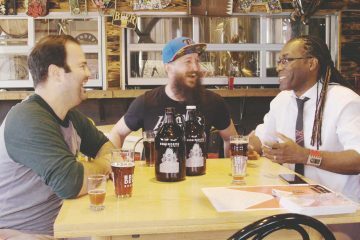 Just as Miami rapper Rick Ross walked out of a surprise, pre-show appearance at the Wingstop located at 4411 Lemmon Avenue in Dallas on Saturday afternoon, tornado warning sirens started to blare in the distance. 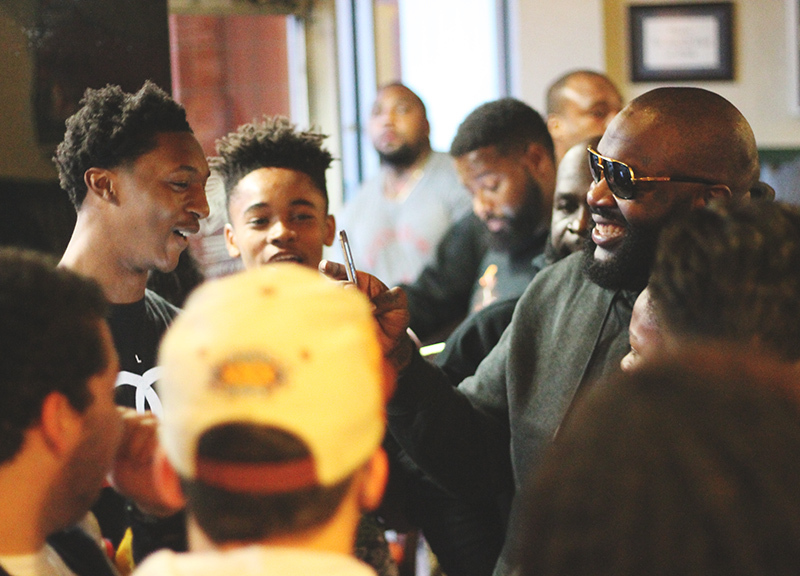 And considering the sheer devastation that would follow once some nine tornadoes would touch down across the region, the absurdity of Rick Ross’ stop off at this Oak Lawn-area wing restaurant would, in just a few hours, feel like a rather insignificant blip. 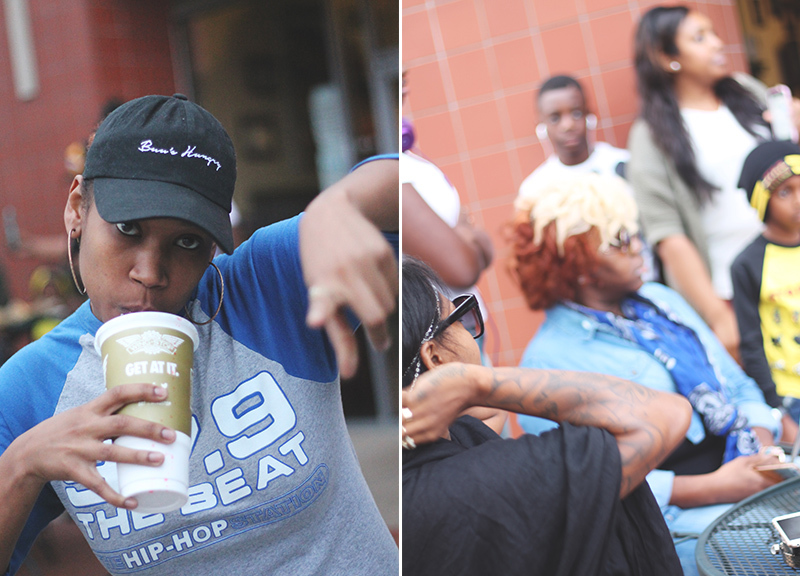 But, hey, it still made for a fun little whirlwind of an event. 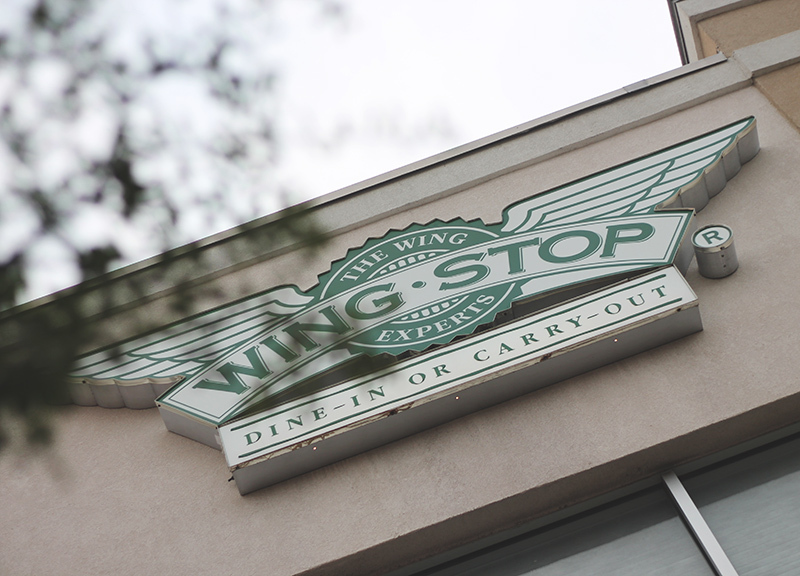 From announcement to end, the whole thing took less than 90 minutes in total: First, it was announced on the air in the four o’clock hour by the folks at KBFB 97.9-FM The Beat DFW that noted Wingstop franchise owner and lyrical reference-dropper Ross would be stopping by this particular Wingstop location at 5 p.m. in advance of his Bomb Factory show later in the night; at just before 5, fans started to show up in the parking lot out front; at around 5:20, the man himself walked into the building, greeted by dozens of cell phones thrust into the sky with their cameras on; and, by 5:45, he was gone. 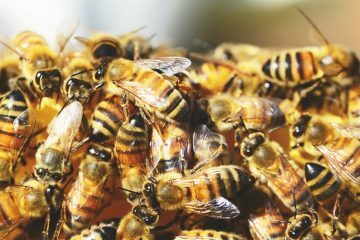 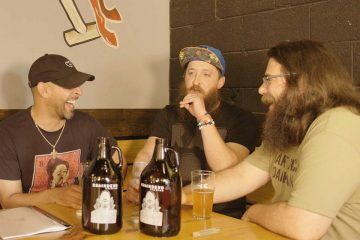 It’s tough to describe what exactly went on. 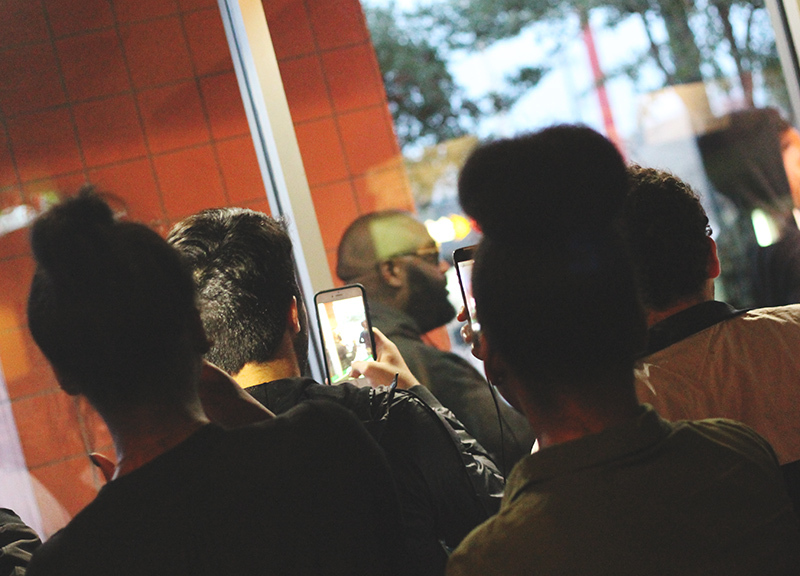 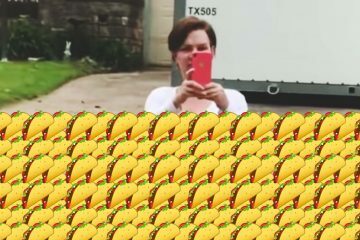 Ross came, he Snapchatted, he took some selfies with his fans, he didn’t eat the massive spread that this Wingstop spot’s staff had laid out for him (he instead had them wrap it all up so he could take it to go) and, in a cell-phone flash, he was out of there — although not without stopping in front of a CW33 camera to remind people to go out and buy his new Black Market mixtape. 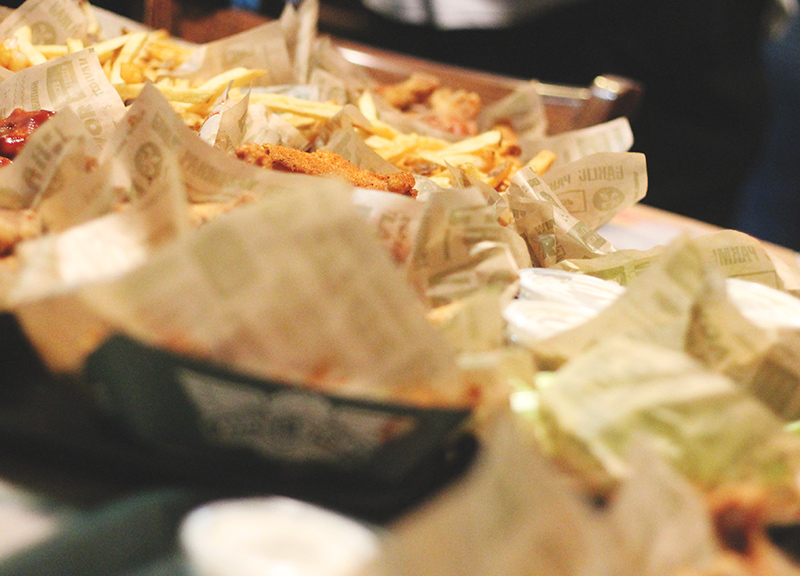 In his wake, he left a whole bunch of smiles and plenty of empty wing trays, too. 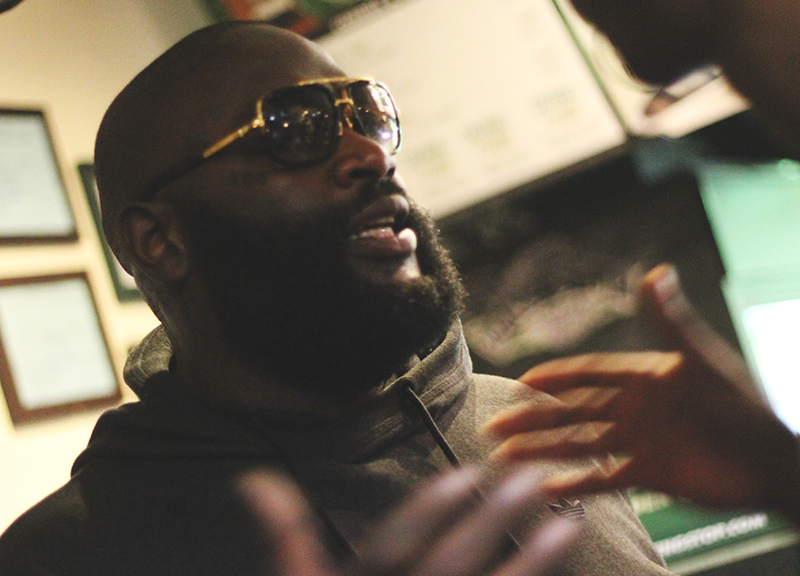 Of course, given his business interest in the Wingstop brand, you gotta figure that second matter was ultimately the whole point.